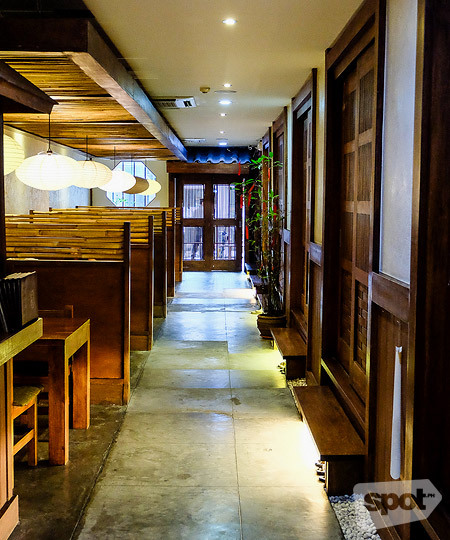 Open daily from 11 a.m. to 2:30 p.m. and 5 p.m. to 11 p.m.
(SPOT.ph) It's hard to miss Izakaya Kenta despite the chaos of Malate; the open and brightly lit facade is almost like a beacon to the curious and hungry passerby. The private function rooms can also be shared for larger groups. 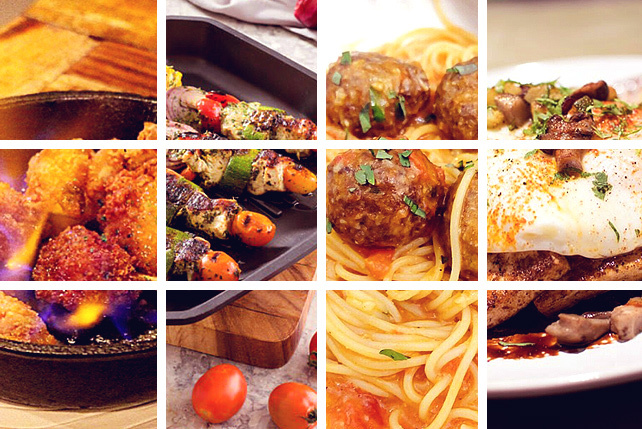 The restaurant boasts spacious interiors that are divided into casual dining tables and private function rooms. 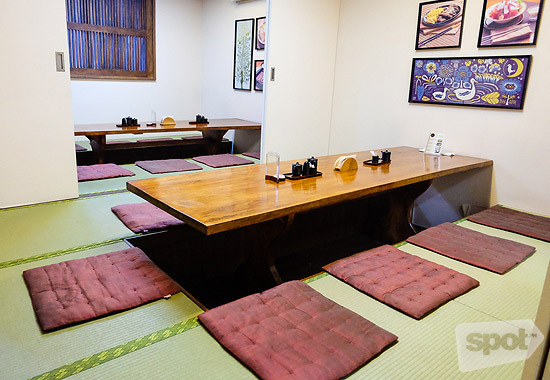 Take a peek into a function room, and you'll find a long table and tatami mats where you can sit and enjoy your meal sans your shoes. 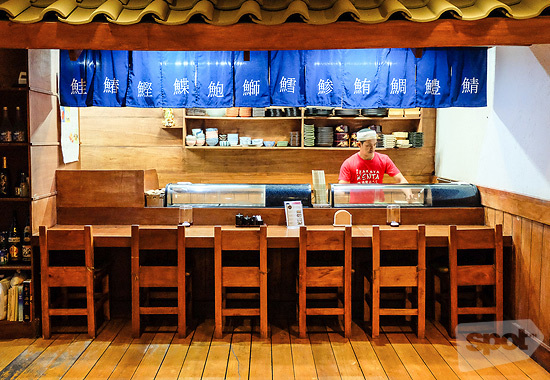 At the end of the hallway, you'll see their sushi bar and an entire wall of sake options. 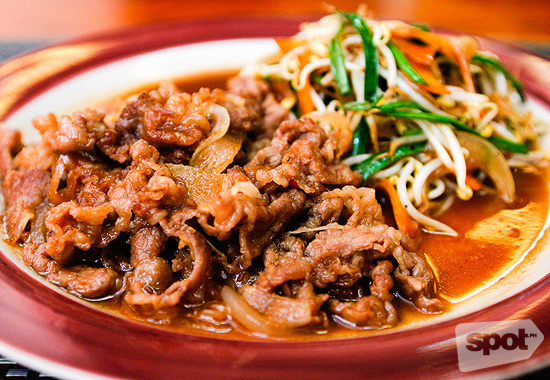 The family-owned restaurant has always striven to give diners an authentic Japanese experience, even way back in the '90s when they were first located along Pedro Gil. Izakaya Kenta closed for three years and reopened in 2013, to the delight of its loyal customers—mostly comprised of Japanese folks. Head chef Dennis Ganzon was one of the original staff members who rejoined after the restaurant opened, bringing back the dishes well-loved by its diners. 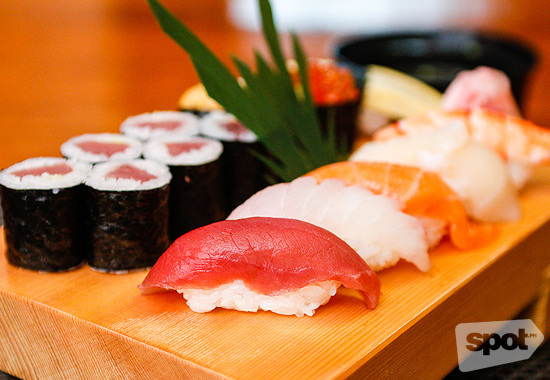 The menu is a mother lode of Japanese fare that includes sushi, sashimi, tempura, maki, and yakimono. A quick perusal of the menu, and you'd be hard-pressed to decide where to begin. Start with their crowd-favorite sashimi, but if you find yourself torn between the Sake or Salmon (P380) or the Maguro or Tuna (P265), go for the Nana Ten Mori (P1, 200). 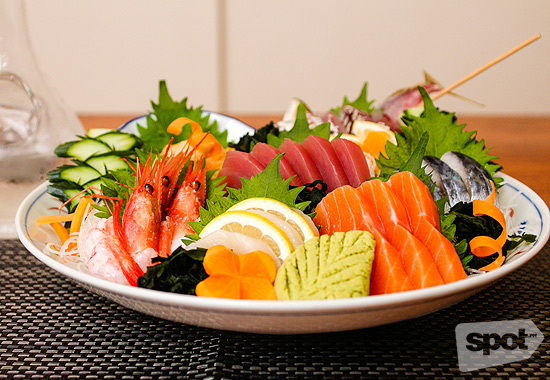 The mouthwatering plate is a smorgasbord of seven kinds of juicy, melt-in-your-mouth sashimi. Freshness is a priority here, so much so that the ingredients are shipped daily from Japan, and management even discourages having it to-go. 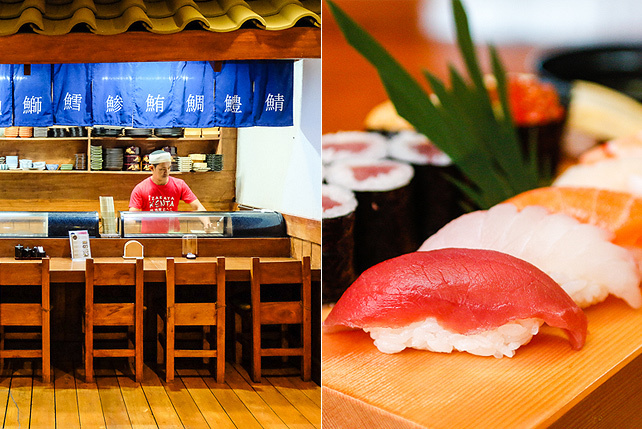 If you're still having trouble choosing among their sushi selections, Izakaya Kenta makes the job easier for you. For instance, the Nigiri Moriawase Jou (P550) is a hefty serving of eight pieces of nigiri and six slices of tekka maki. Don't expect too much fanfare—the simple, no-frills yet spot-on flavors speak for themselves. The addicting Tako Potato (P180) is also an easy favorite. 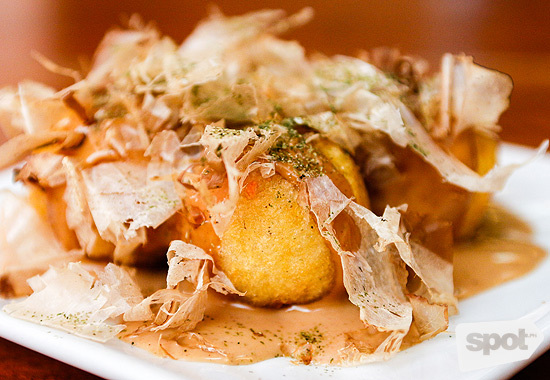 It's a different take on the usual takoyaki, replacing the batter with indulgent, deep-fried potato that hugs a generous amount of octopus. 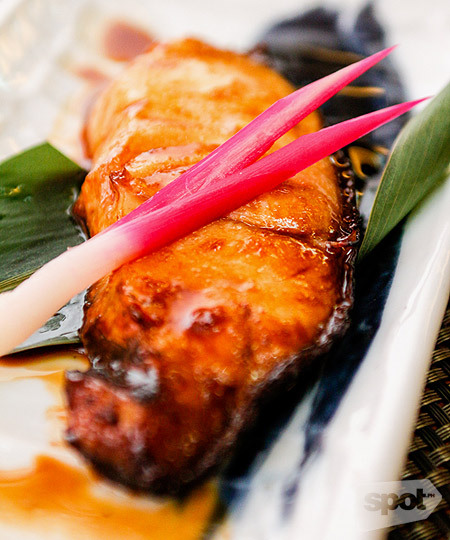 Meanwhile, the Gindara Shioyaki (P550) is flavorful black cod swimming in sweet-salty teriyaki sauce. Pair it with a steaming bowl of rice, and you're golden. 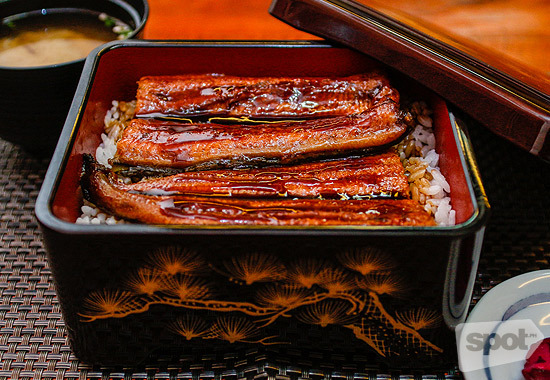 The rich Unaju (P850) solves the rice problem, topping an entire tray of it with gloriously soft, smoked eel. 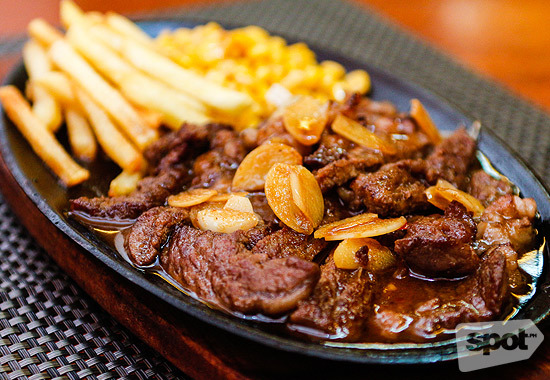 For heavier and more filling fare, you can't go wrong with the brawny Beef Yakiniku (P300) or the Beef Steak (P500), which coats tender chunks of rib-eye beef with smoky steak sauce. 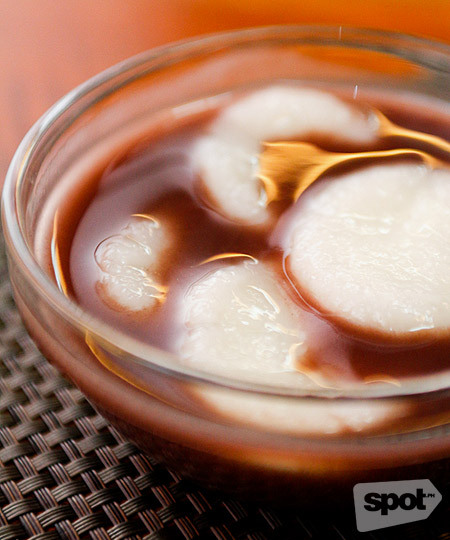 Desserts include Cold Zentai (P150), soft mochi doused in subtly sweet red bean syrup. For a place that encourages relaxation and conversation (its name literally means "after-work drinking place"), service is surprisingly quick. Don't let that deter you from kicking back and enjoying a satisfying meal. Trust us, they'd want you to. Don't forget the sake, either! 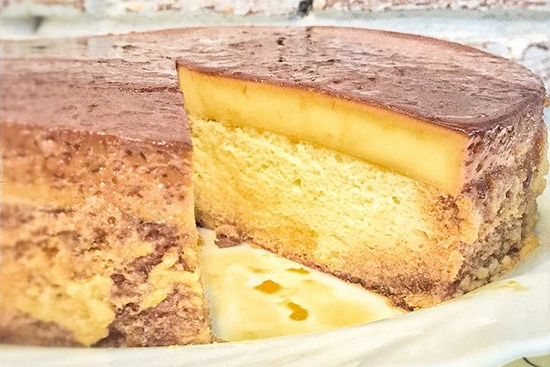 This cake has leche flan on top!